The term ICOP is for Irish College of Paramedics. The content of the pages of this website is for your general information and use only. It is subject to change without notice. ICOP offer links to other websites of interest for the purpose of education and relevant information. Your use of any information or materials on this website is entirely at your own risk, for which we shall not be liable. It shall be your own responsibility to ensure that any products, services, course information, general information, research information, links, photos or information available through this website meet your specific requirements and are available to you the viewer with interest for the propose of education and relevant information sharing. This website contains material, icons and designs which is owned by or licensed to us. This material includes, but is not limited to, the design, layout, look, appearance and graphics. Reproduction of the Irish College of Paramedics logo or designs is prohibited other than in accordance with the copyright notice, which forms part of these terms and conditions. You may not create a link to this website from another website or document without ICoP’s prior written consent. Your use of this website and any dispute arising out of such use of the website is subject to law. Photography supplied to must be given with written and verified ( e-mail ) consent from the photographer. The content of the photograph is the photographers responsibility and we would require written consent to show classroom photos of pupils that may be training in pre-hospital care. The photographer must have the consent of person(s) being photographed. Should the photo be of a group consent to take the photo and use it on ICOP consent to share will come via the photographer. If you wish to have a photo that contains you the viewer removed from the ICOP web please make the photographer and ICOP aware in a written format and in turn we will remove the photo. Fees for members both Practitioner and Associate are as outlined on the Join/Renew pages. Affiliate members will offer registered courses with accepted content for the public or practitioner level. Affiliated members must be registered with a governing body and have public liability and indemnity insurance. The governing body must be available to prove the affiliated member is up to date and registered each year before ICOP will accept an application to advertise courses on your behalf. Fees are per year from 1st of January to 31st of December of each rolling calendar year. 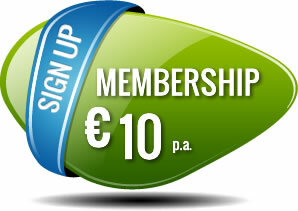 Under the heading Affiliated members join ICOP to advertise their courses on the ICOP website. This does not permit you to access the members website. The Affiliated member can post information each month via sending information to icopinfo@gmail.com in relation to advertising the courses of interest to the public or practitioner web site depending on the offer they have signed up to. Should an affiliated join at any point during the calendar the membership fees will start on the date they sign up to be an affiliated member but ends on the 31st of December of that calendar year. You will receive an e-mail in December to offer you the chance to rejoin. Affiliated members must be able to offer the student a link to their website to purchase a place on their course or a phone or e-mail to contact to place and order for a ticket to the course. ICOP will not in any way conduct booking enquiries for affiliated members, nor will they be party to endorsement of any course advertised. ICOP Irish College of Paramedic’s is not responsible for the content of the course/ the location of the course/ the cost of the course/ the advertised information of the course / the contacts to the course / logos provided / photos provided / reviews on the course / certification offered from the course / information on cancelations of courses / refunds of course. The affiliated member will sign a declaration to show ICOP web site is for advertisement sharing purposes only and not for the management of the courses they are advertising. ICOP offers its website as a platform to advertise a course on behalf of the affiliated member. Newsletters will be sent to members for time to time offering relevant information and links to ICOP. If you wish to opt out of the newletters please use the unregister for the newsletter at the bottom of the newsletter. Flyers with member’s deals and codes will be sent to your registered member e-mail. This mail is for the embers benefit and will offer discount codes and information on AGMs/ ICOP Scientific Days. If you wish to cancel a place please contact us on the main e-mail attached. You will receive a cancellation e-mail with a ref no. and a refund will be made within 10 working days to the account given at the time of booking. No cash or cheque refunds will be given. Refunds can be offered up to 5 days before the course. ICOP do not take any responsibility for the booking or cancellations of affiliated group courses. It is the responsibility of the practitioner to ensure their place has been booked through the relevant Affiliated Group.